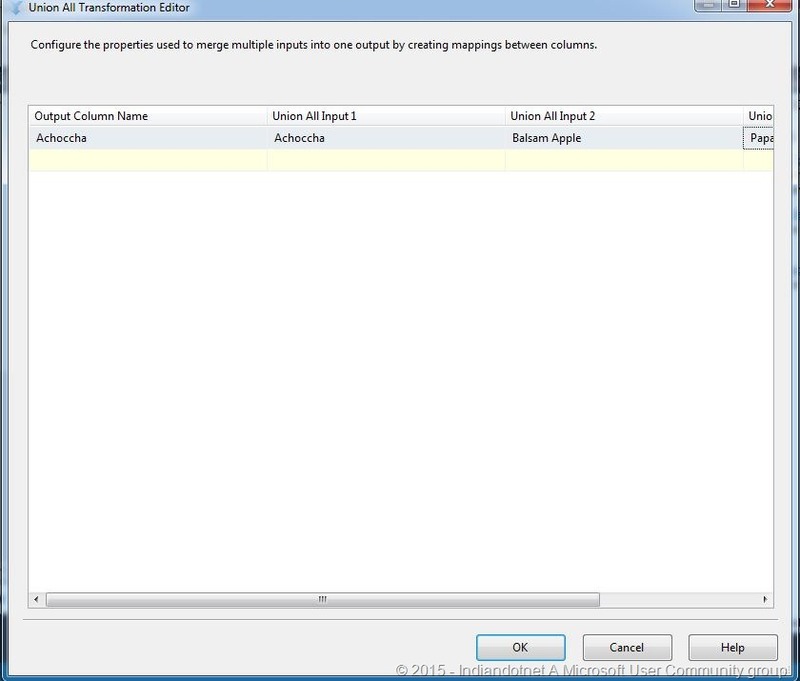 In the series of Step by Step SSIS , Zero to Hero in SSIS this is another post in which we will try to understand what is Derived Column Transformation. Let’s understand this by a real world example. Suppose, we are a shop keeper and our work is buy things from carpenter and sell them by adding our 20% margin. 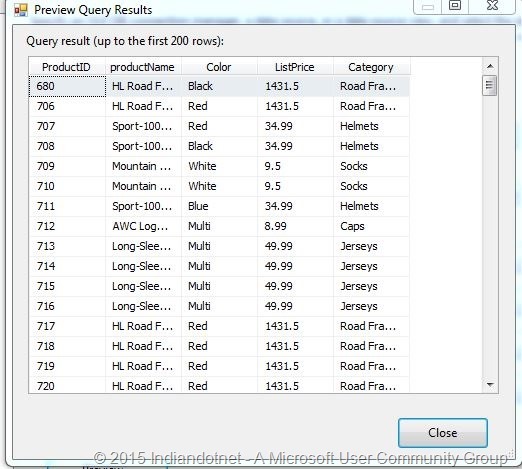 So , carpenters give us source data (file, sql server etc) with their rate according to product. What we do actually ,we add another column in our register by adding 20% which is our selling price. So ,our selling price column is a derived column here which we derived from source by adding some of our operations. Step 1:- It is useless to say here add a new Package in your project. 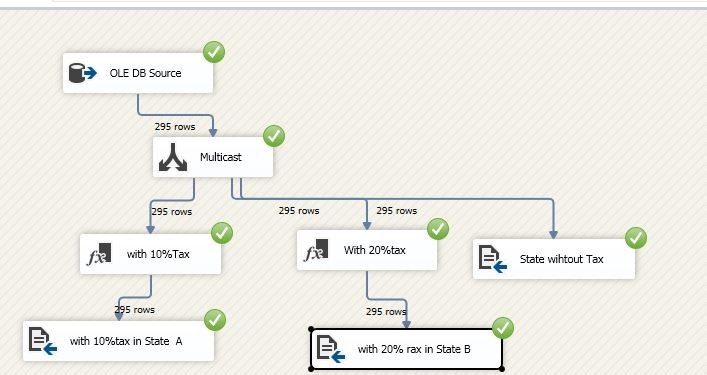 Drag drop data flow task on canvas. 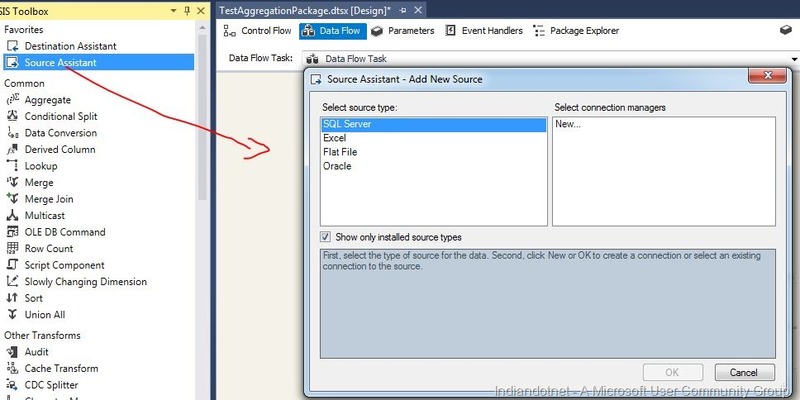 Now double click the data flow task you will get a new screen where you need to drag drop source Assistance. Step 2:- I am sure you will not face any problem in configuration of source control. 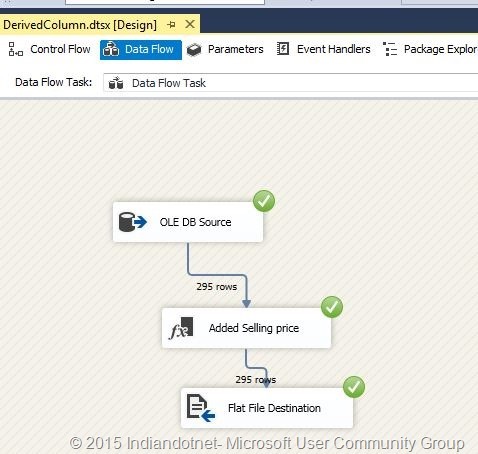 Now in step 2 we have to drag drop Derived column. 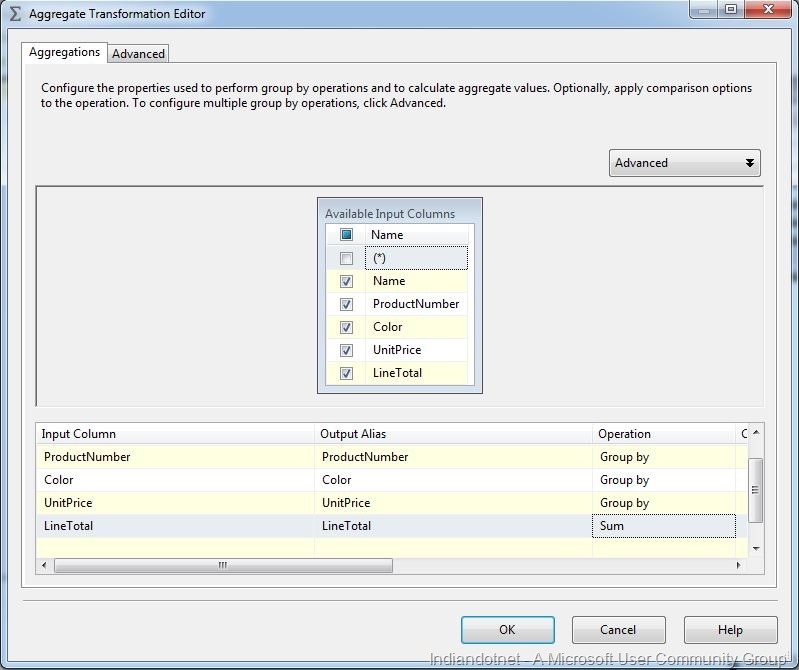 Once you drag drop derived column you need to provide output of source assistance to Derived Column Transformation. Now to configure this use context menu by right clicking and choose Edit option you will get below screen. 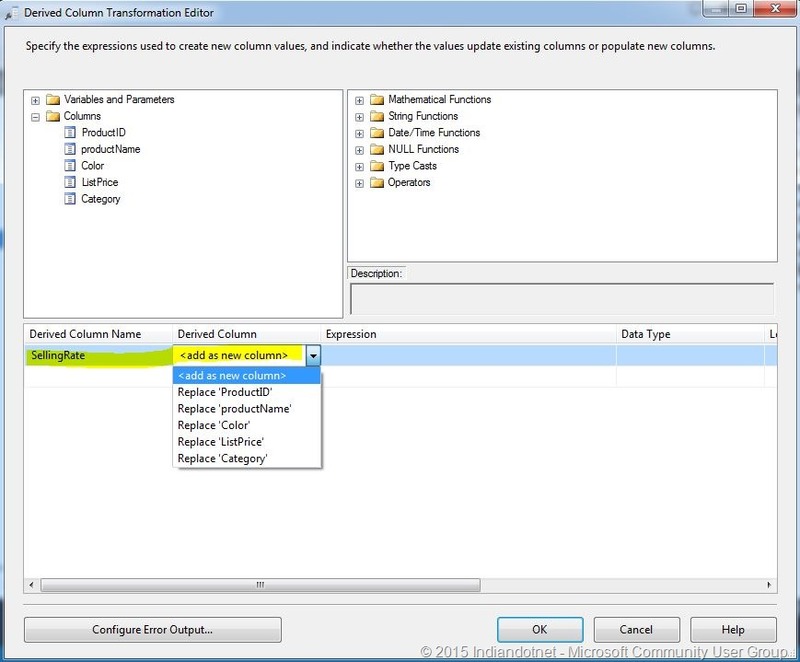 Here we have different functions and operators which we can be utilized with columns and variables and parameters to create derived column. If you see above highlighted row in image we can add a new column or can replace any existing column as shown in drop down. if you see below screenshot we can add other functions ,operators also. Step 4:- I hope above steps are pretty much clear. Now add a destination file in which we will get derived column “SellingRate” . 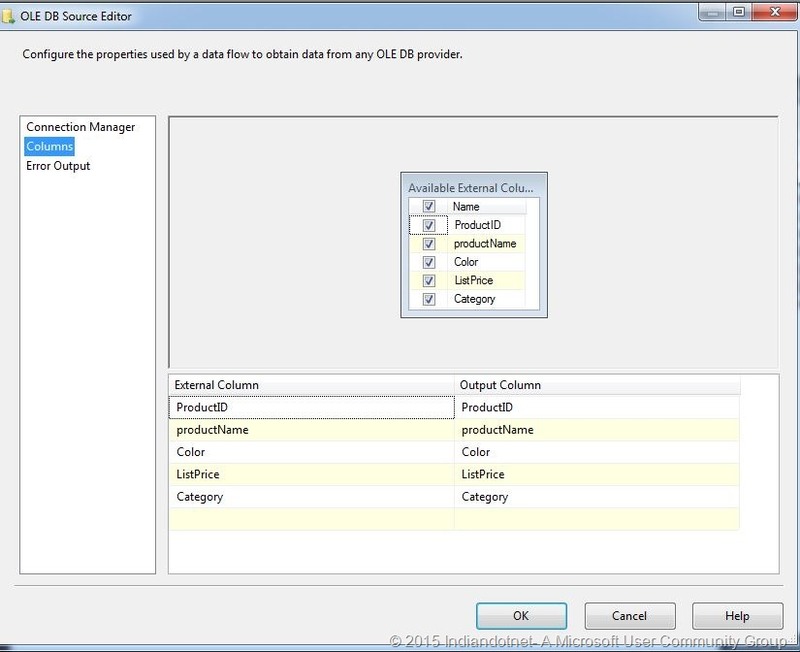 We have to configured the derived column. As shown in below figure we configured derived column. I hope this post might help you to understand the derived column. 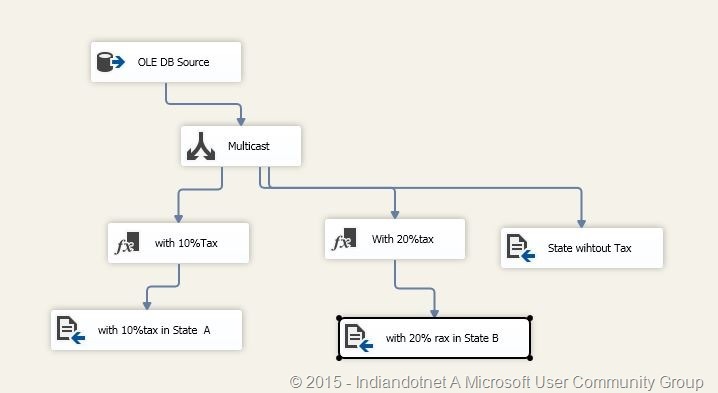 In the series of zero to hero SSIS series this is one of the simplest transformation control which known as UNION ALL. As you might aware UNION in general term which means collective. 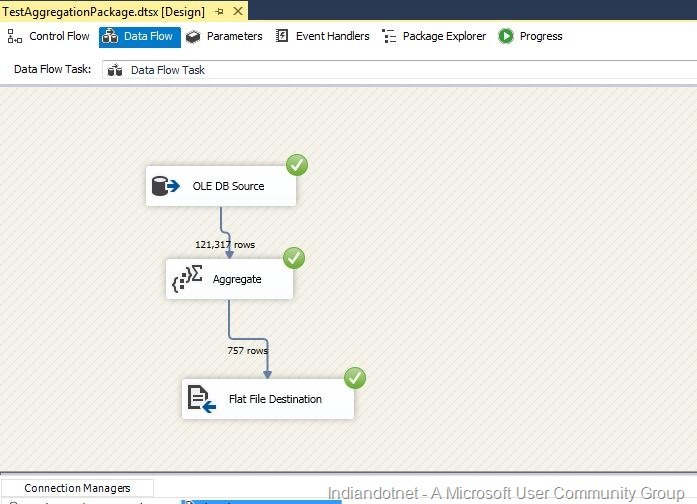 In SSIS UNION all control is doing the same task. It collect all the inputs may be of same type of sources or different type of sources and union them all and provides single output for the same. Lets understand this by below example. Suppose, We have different text files which contain fruits & vegetables name. 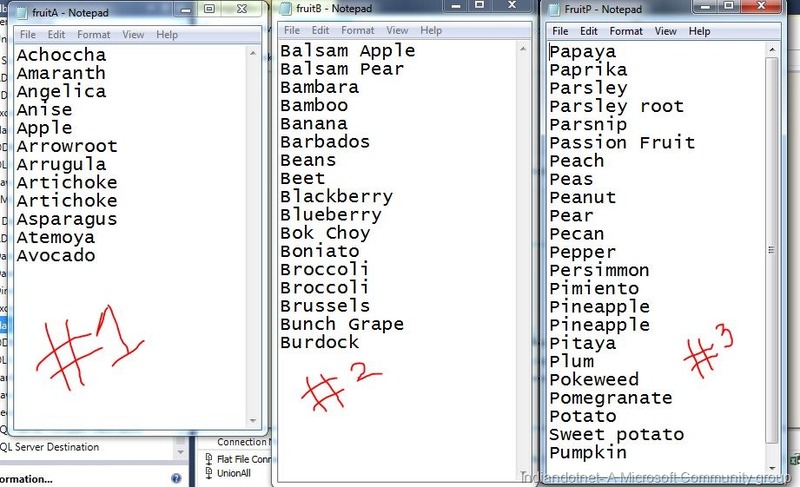 Now our aim is to combine all the fruits and vegetables name which exists in these files. 1) Step 1:- Step 1 is simplest step and now you all well versed in this. 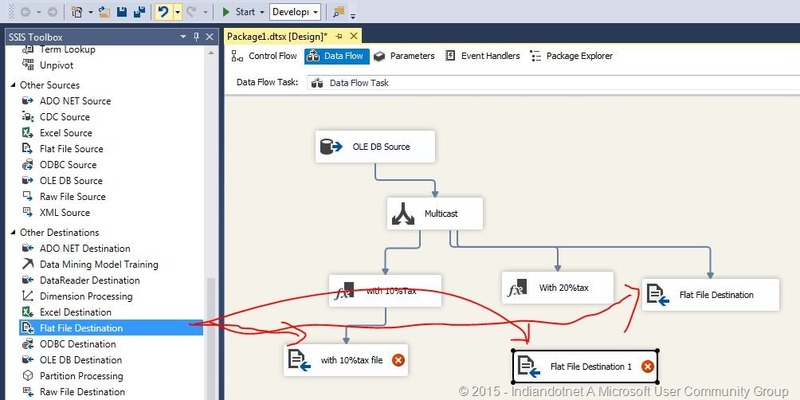 We need to add a new SSIS package file and drag drop data flow task . 2) Step 2:- Now add different flat file source for all the 3 files and configure all the 3 files fruitA.txt, fruitB.txt , fruitP.txt . 3) Once we configured all the 3 flat file sources, We have to drag drop UNION ALL transformation control.Once we drag drop UNION ALL we can provide the output of all the 3 files as a input in UNION ALL control as shown in below figure. Step 4:- Now, we have to configure the UNION ALL control. To do this right click on UNION ALL control and click on EDIT option. 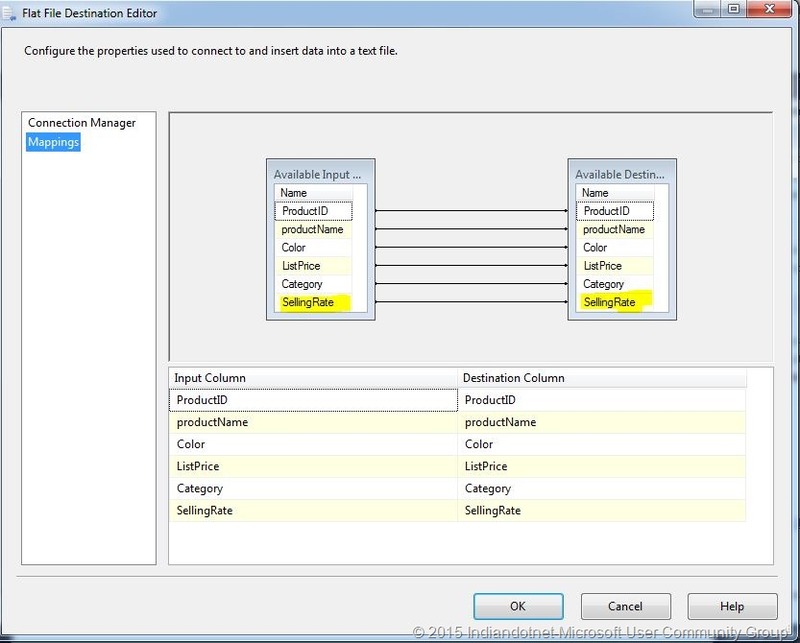 Here we have to configure all the columns which we need to union. 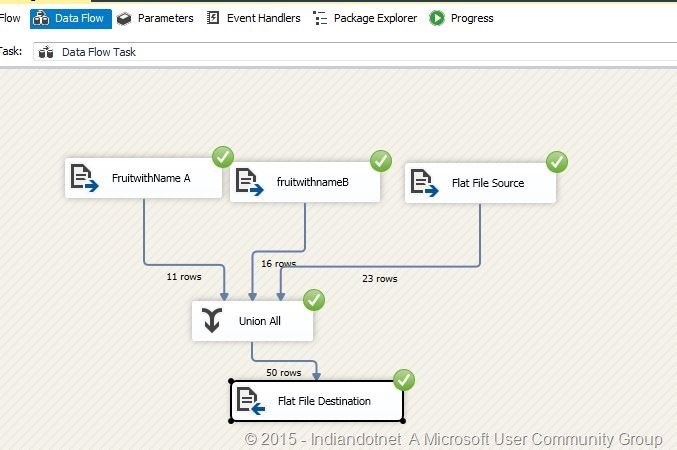 Step 5:- Once the UNION ALL is configured our next step is to get the output of UNION ALL in a resultant file. 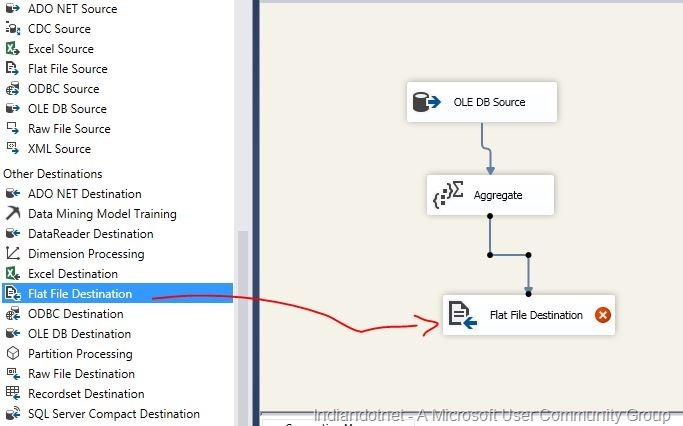 for this we have to drag drop destination flat file control as shown in below figure. Step 7:- Once all the above step is processed by us the final step is to run the package for this just click on RUN icon or hit F5. If everything is working fine the we will get following result with all the green right check images. 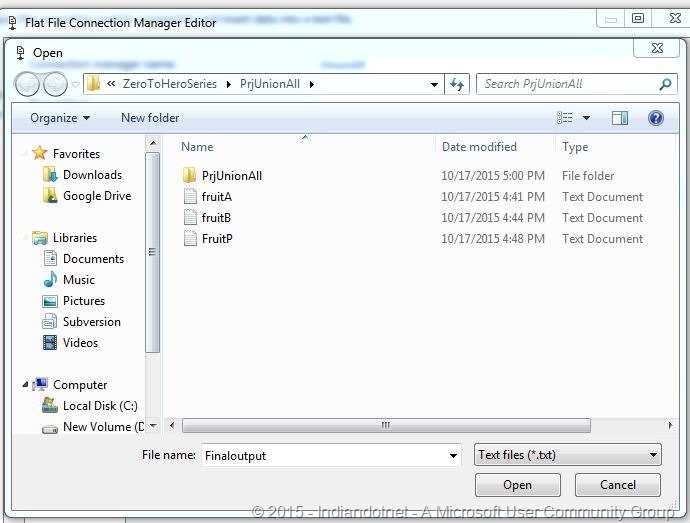 If you see above image we did union of all the 3 files and saved output in a single file. Now, for learning purpose and to make the post simplest I use only same type source you can use different type of source and destination as per your need. A part from this UNION ALL doesn’t remove duplicate so if there are duplicates in the files it will not remove. I hope this article will help you somewhere. Please provide your inputs. 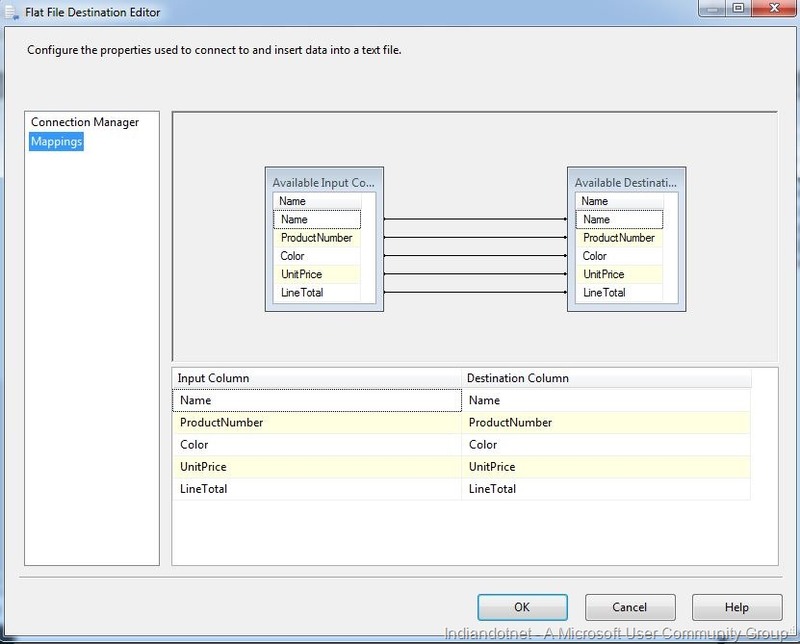 In the series of step by step SSIS tutorial this is another post. In this post we will see Aggregate Transformation. I am pretty much sure you are aware of aggregation. Although , Just wanted to share that aggregation operation in generally memory expensive operation. So, whenever you want aggregation & want to use group by function then in such situation you can use Aggregation transformation. There are different group by option available like MIN, MAX , COUNT, SUM, AVERAGE etc. Let’s understand how to use Aggregate transformation step by step. 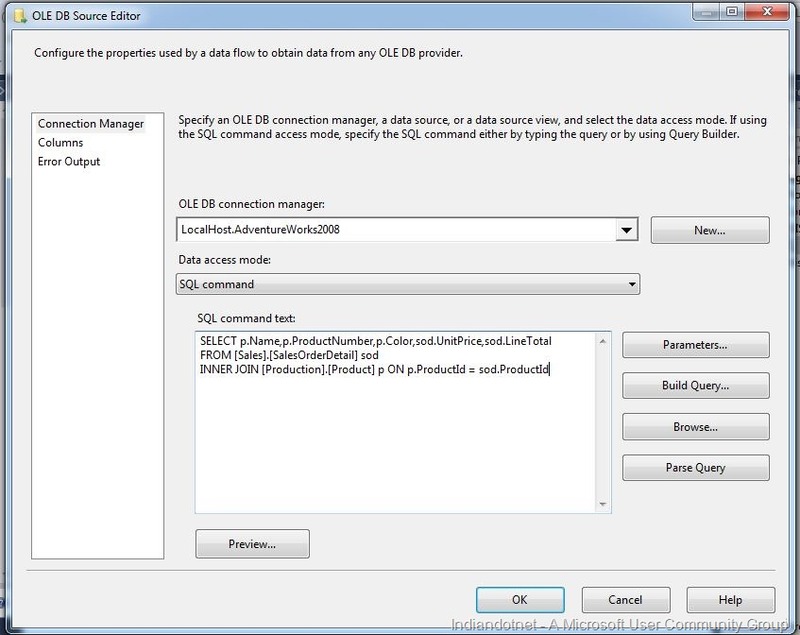 For current example we are using Adventureworks database and we are using below query. 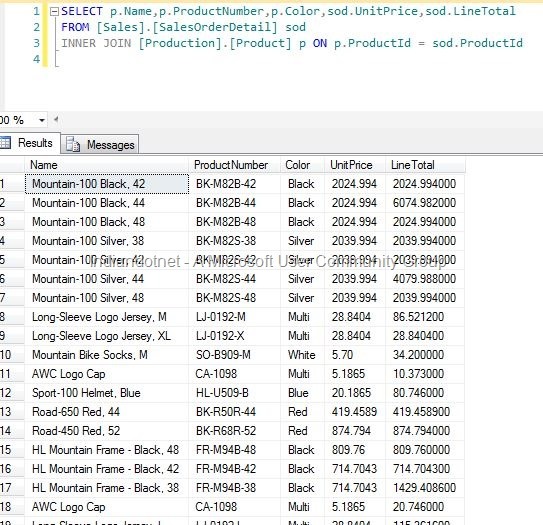 Here we are fetching the product data with line total,unit price & other details. if you see the records in the table you will find that there are multiple records for same product with different line total. 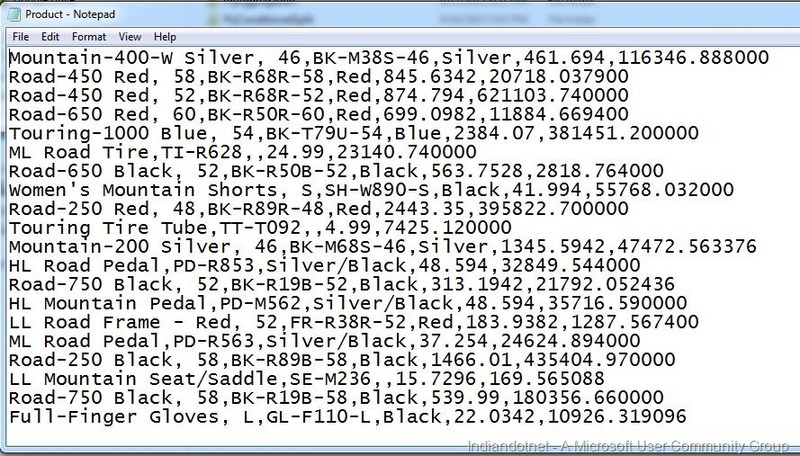 Our objective is to aggregate or do sum of Line total according to Line Number and export the result in a csv. 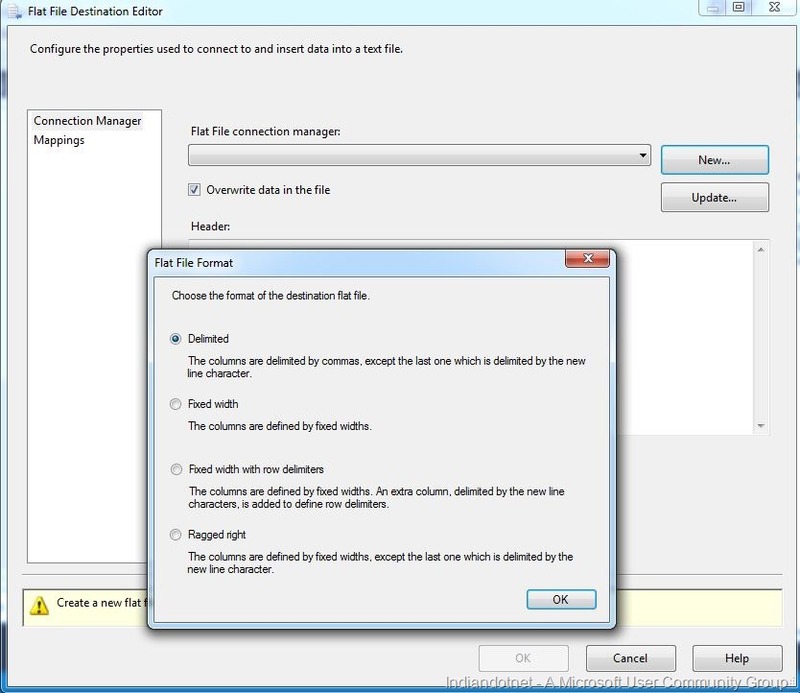 Step 3:- Now configure this aggregate control. So Just right click aggregate control and select Edit option. Now as we require Sum of LineTotal so we have selected SUM in operation column’s drop down and rest other has drop down option group by. Now, drag drop flat file destination and configure it. I hope this example might help you to understand Aggregate transformation. Please provide your inputs.